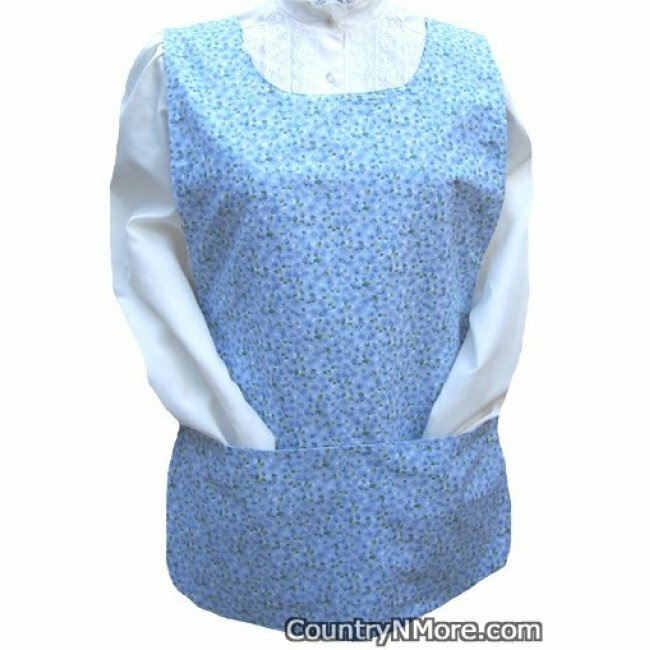 The front of this apron has gorgeous light blue flowers set against a darker blue background.The straps and pockets are made using the same print. The reverse side of this cobbler apron has small dark pink, orange, and blue, set against a pink background. 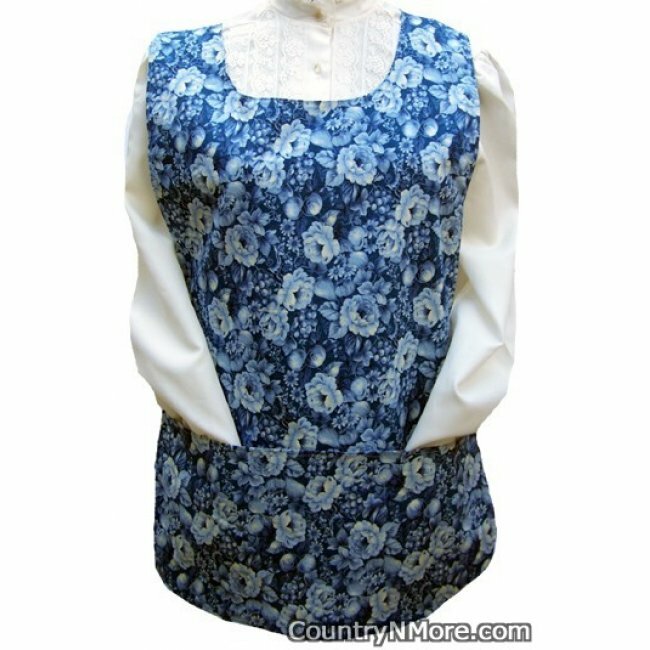 The pockets and straps are made using the same beautiful flower print.